Automakers started launching production of their 2019 models, which means they are clearing out vehicles from the current year. This autumn dealerships are starting a sales push to get customers in the remaining 2018 model year trucks on their lots to make room for the new ones. Zero percent financing and low monthly payment lease deals from a variety of manufacturers are helping fuel sales momentum. 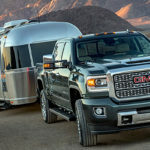 Trucks.com compiled a list of deals that represent the best value for consumers. Incentives vary by region, so always check with a local dealership and don’t be afraid to negotiate. All the deals in this article are valid through at least August 31. The Nissan Frontier is the lowest priced truck currently available in North America, but a low price doesn’t equate to a subpar product. The Frontier isn’t freshly designed or as capable in tough off-road conditions as other compact trucks, but it is a competent daily driver and weekend warrior. Qualified lessees can finance the 2018 Frontier at zero percent APR for up to 36 months or they can choose to get $2,000 cash back. This offer ends August 31. The Chevrolet Colorado is a capable truck that tackles off-road terrain with ease while behaving itself on city streets, rural roads, and highways. It has best-in-class maximum horsepower, available built-in 4G LTE Wi-Fi and best-in-class maximum towing capacity. It’s also very fuel efficient. This deal for the Colorado LT Crew Cab with four-wheel drive expires on September 4. Current lessees of 2012 model year or new GM vehicles may qualify to pay only $3,579 at signing. The offer carries a 30,000-mile limit. The Toyota Tacoma is built to deliver a composed ride on the street while maintaining its capable off-road chops. The base model SR comes with a long list of standard safety equipment, such as adaptive cruise control and a deck rail system. Its available 3.5-liter V6 engine is mated to a six-speed automatic transmission and capable of achieving 278 horsepower and 265 pound-feet of torque. This deal for the Toyota Tacoma SR Double Cab 4×4 with the V6 engine comes with a 12,000-mile-per-year limit and expires on September 4. 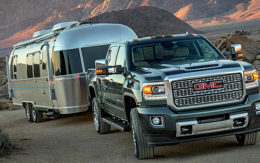 The GMC Canyon is a higher-end compact truck that is as versatile as its lower priced competitors. The base SLE trim comes with an 8-inch infotainment screen, four USB ports, 17-inch cast aluminum wheels, a leather-wrapped steering wheel, Teen Driver software and fog lamps. This offer for the Canyon SLE is restricted to the two-wheel drive model with a short box, which is about 5-feet. Current lessees of 2012 model year or new GM vehicles may qualify to pay only $3,949 at signing. The offer carries a 20,000-mile limit and expires September 4. The Nissan Frontier SV featured in this deal comes equipped with a 4.0-liter V6 engine mated to a five-speed automatic transmission that can tow up to 6,640 pounds. It has a reasonable list of standard features including a 5-inch infotainment screen, rearview camera, keyless entry, Bluetooth and second-row under-seat storage. This offer for the Frontier SV 4×4 is only for the model that comes equipped with the Value Truck Package with floor mats. The Value Truck Package is a $1,890 value and includes a number of higher-end features including dual zone automatic climate control, a leather-wrapped steering wheel, spray-on bedliner, heated front seats and a tow hitch. This deal ends August 31. Toyota offers the Tacoma in six different trim levels, each delivering their own variant on the compact truck’s impressive on- and off-road abilities. This month’s Tacoma financing deal includes five of those, but not the TRD-Pro model. The base model SR trim starts at $25,400. August may be the time to act for buyers trying to avoid a large down payment. Toyota is offering each trim level of its compact truck for 1.9 percent for 48-months. Qualified buyers may also be eligible for $1,000 in bonus cash. Thirty-six-month financing also is available at the same rate.